\\Ever dreamed about living in a top of the line luxury villa in Goa but simply couldn’t bear to look at the ridiculous prices? Well not anymore. One of the best things about traveling to Goa during the offseason is the dirt cheap hotel prices. Affordable luxury villas in Goa go so cheap during the offseason that it’s insane not to live in one. 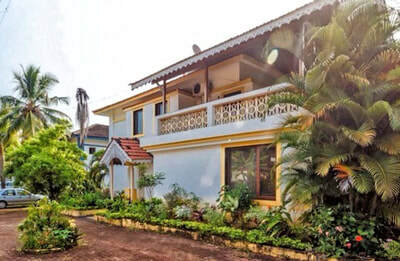 Even though they may cost more than a cheaper hotel during the offseason, the value for money ratio at these affordable villas in Goa are too good to be missed. Here are 7 super affordable luxury villas in Goa that’ll give you the best experience in Goa during the offseason. All for a fraction of the cost. As the name suggests – this affordable luxury villa is located on a hill. The hill makes for a perfect romantic getaway. Gorgeous views and the sparkling raindrops await you from this cutting-edge oasis in the heart of Candolim. Mediterranean design and a romantic foyer are key aspects of On the hill. The interior here features maple wood floored spacious rooms. There’s also a private swimming pool and garden available. If a coastal view is what you’re looking forward to. Then you simply can’t go wrong with Sal Canoe. 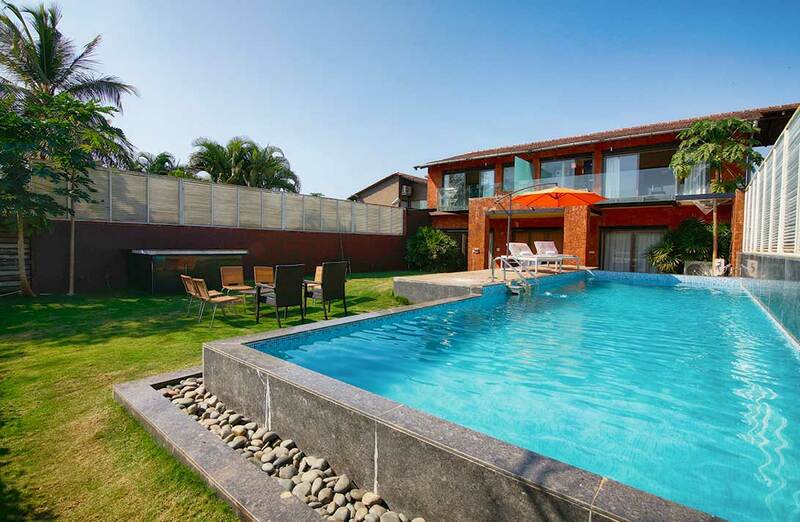 This affordable luxury villa in Goa offers beautifully designed 4 bedroom suits. That is located in the heart of Goa’s greenery. There’s also a massive spa that’ll make anyone want to join in with the fun. Even if you don’t feel like stepping outside, you can simply relax indoors or enjoy the views from the terrace in the evening. 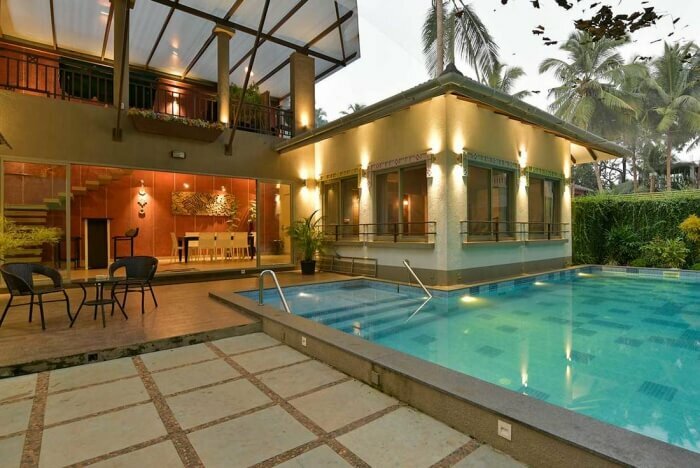 This is a stunning 5 Bed, waterfront luxury villa in Goa. This exclusive villa in Goa features a captivating garden, pool with waterfall, Jacuzzi and coconut trees and looking up at Goa’s night sky. Grande offers plenty of outdoor living and dining opportunities. Fully equipped gym, office, den, bar, home theater and also a game room. 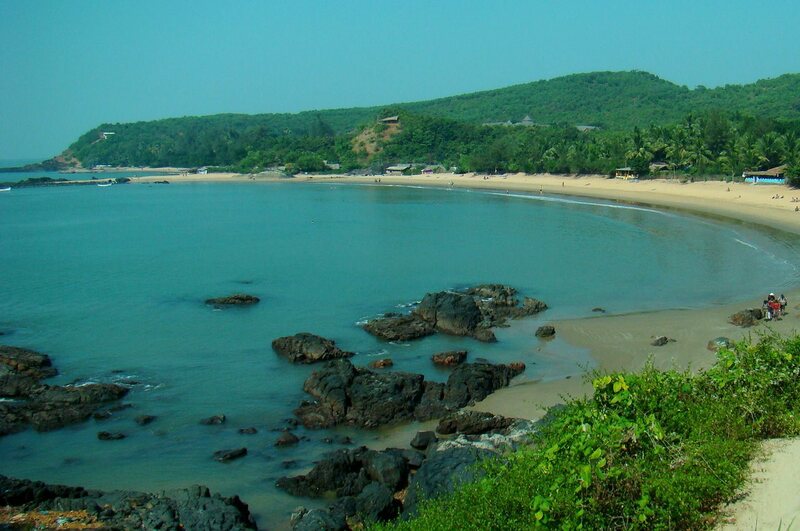 This affordable luxury villa in Goa also has access to the pristine Calangute beach. Luxury villas in Goa seem to have an undying love for Calangute. No wonder there’s so many here. La Cote offers a waterfront home with 60 ft of water frontage, pool & an expansive rooftop deck. Soaring. This affordable luxury villa in Goa also offers a Chef’s kitchen, entertainment room w/ pool table and marble-topped bar w/lighting features. If you want a classy interior then Avion is as good as it gets. 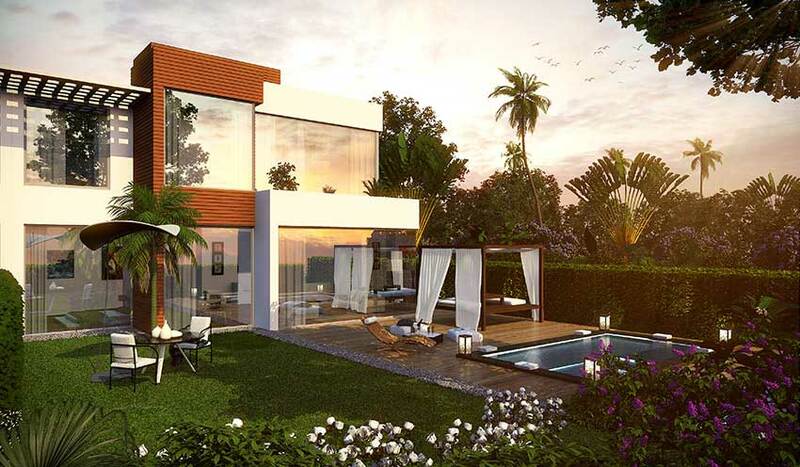 This stunning contemporary luxury villa in Goa offers over 9,000 square feet of luxury lifestyle!! Six bedrooms alongside five bathrooms with open living and dining areas. Massive telescopic sliding doors open to luxurious entertainment. Alongside a kitchen and pool deck. 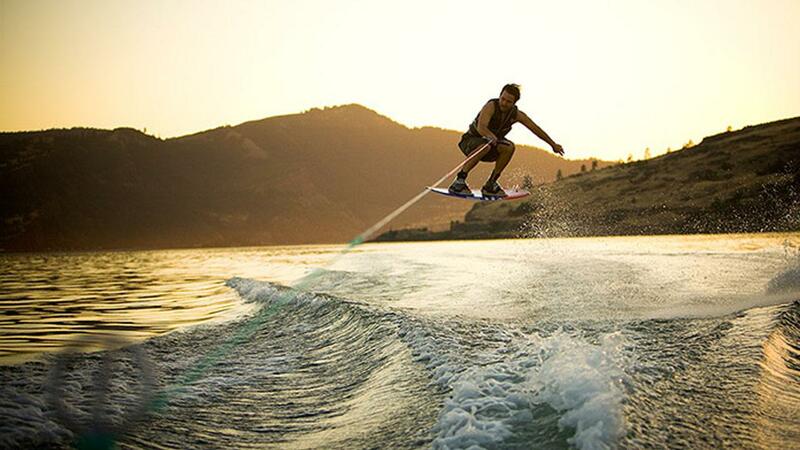 During your stay, you can also indulge in water sports, play at Goa’s best casinos, go fishing or hike in the unspoiled natural wilderness toward the east. Breathe in the fresh air. Marvel at a sky full of stars. And savor exquisite dining wrapped in panoramic beach views. 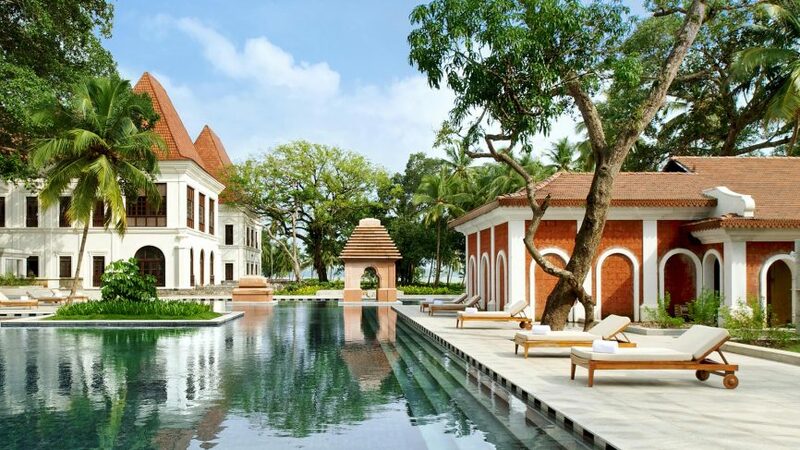 If a classic heritage luxury villa in Goa is what you’re aiming for. Then Moira BirdSong will hit your notes just fine. 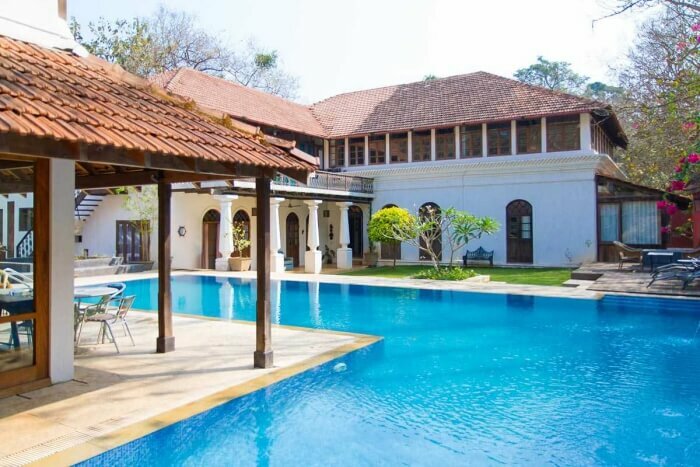 This luxury villa in Goa infuses traditional Goan architecture and modern luxury. The outside may look rustic but the inside is complete with a modern kitchen with plenty of open space. Moira Birdsong is also furnished with classic old school furniture alongside some modern accents. Located at Calzor Moira-Bardez. This luxury villa in Goa is complete with a private side and rear garden and of course – a heated pool. Rio is perhaps goa’s best luxury villa that stays true to one particular theme. The caretaker here is known for their unmatched hospitality. And don’t mind going an extra mile in your service. Inside, this expansive villa is just as impressive. Exquisite handmade furniture and artisanal finishing are evident throughout. The ample social rooms offer access to outdoor terraces and massive lawns. Outdoor dining here is so inviting, despite the wonderful formal dining area inside. 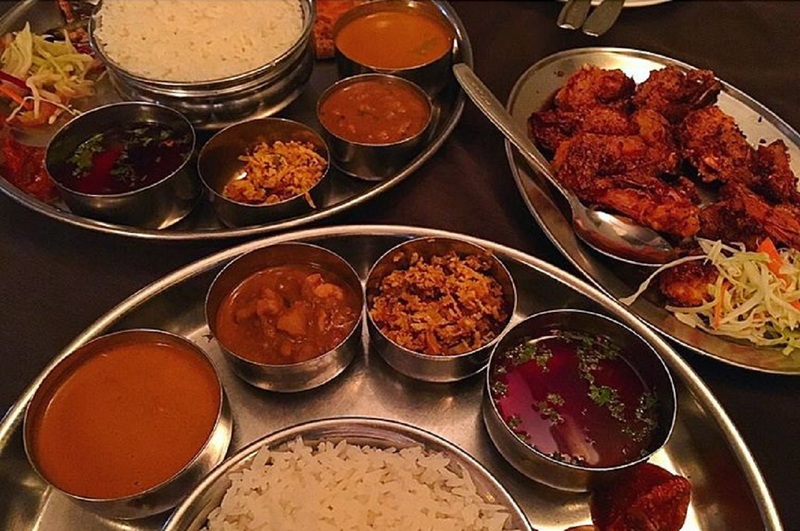 There are two fully equipped kitchens, so you really should cook up at least one grand feast. 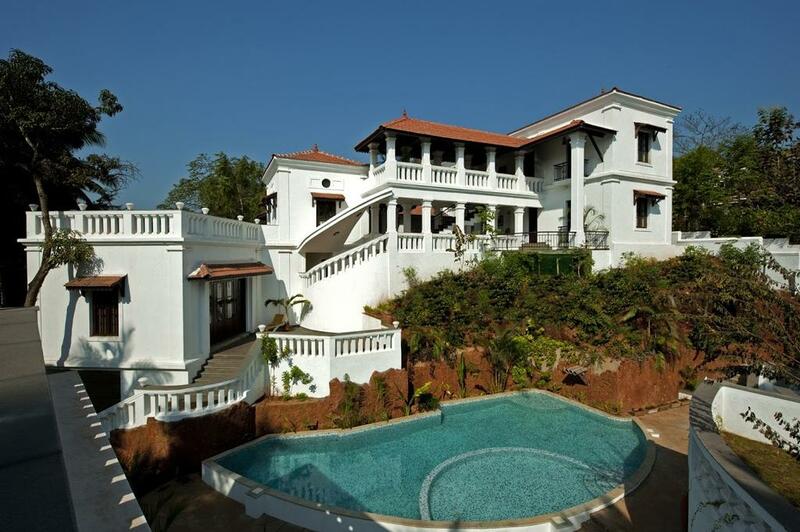 This large luxury villa in Goa offers flexibility and plenty of space for larger parties. Experience your next vacation with Lokaso. Install the Lokaso app now for custom guides and local tips anywhere you are.